Welcome to 342 Harbor Dr, a beautiful contemporary Lake Keowee waterfront home with covered platform dock and one-of-a-kind boat house. Built in 1988, home was designed with comfortable lake living in mind and sits at the end of a quiet cul-de-sac, offering peace and privacy. Upon arriving, notice the private gated entrance and extra large two car carport. There is an additional gravel parking area as well, large enough to park an RV. Enter through the front door and be greeted by a large mudroom with convenient access to the full bathroom and adjacent guest bedroom on the main level. Through the mudroom the floor plan opens up to the spacious living room and kitchen with large windows for letting in the natural light and maximizing the views of Lake Keowee. Stainless steel appliances are featured in the kitchen and entertaining is a breeze with the open layout flowing into the living room. 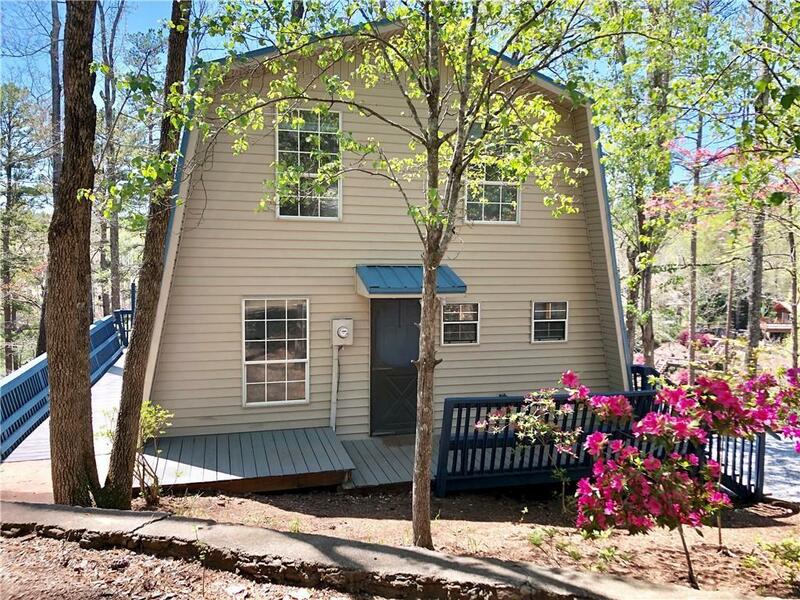 The large back porch can be accessed from the living room and features custom built-in seating and beautiful views of the emerald green waters of Lake Keowee. Located upstairs is an additional guest bedroom and the master bedroom en-suite. The master bedroom is situated to face the lake and features large windows for maximizing the view. Outside, a concrete path has been added down to the boat house and boat dock for convenience. 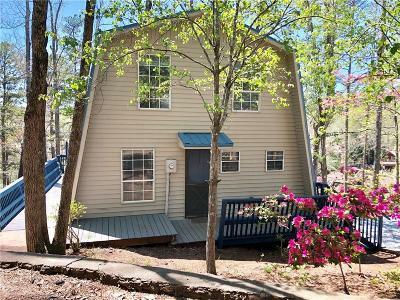 The boat house is a one-of-a-kind feature on Lake Keowee! Enjoy being able to store your boat in your own backyard during the off season. The covered platform dock is situated on deep water and also features power and a sink. Relax on your dock and enjoy the beautiful big range views of Lake Keowee. Other special features of this home include the large crawl space underneath for additional storage and steel beams the home sits on for added support. Location is convenient to shopping, restaurants, and hospital.